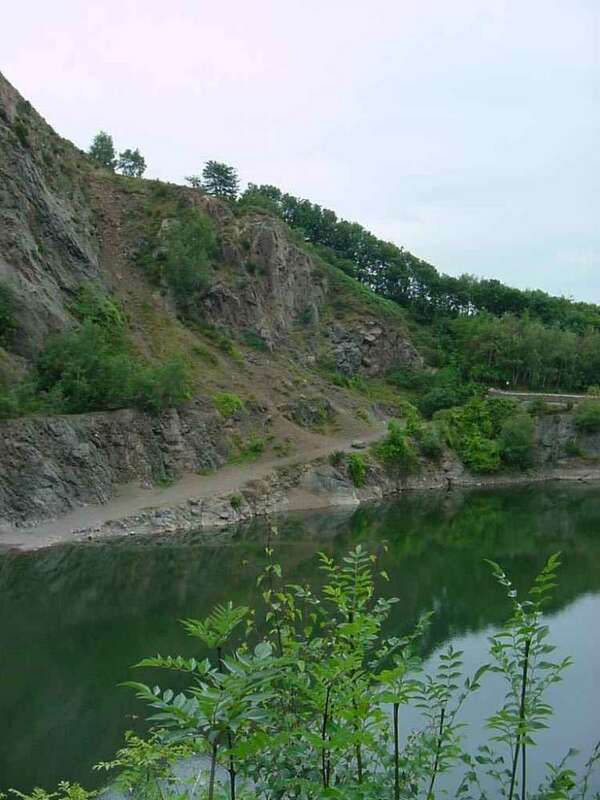 A little to the north of Hollybush Quarry is one at the Gullet, the very last of the quarries to close in December 1977. It is a wild and beautiful spot that poses many dangers for the unwise or the unwary. 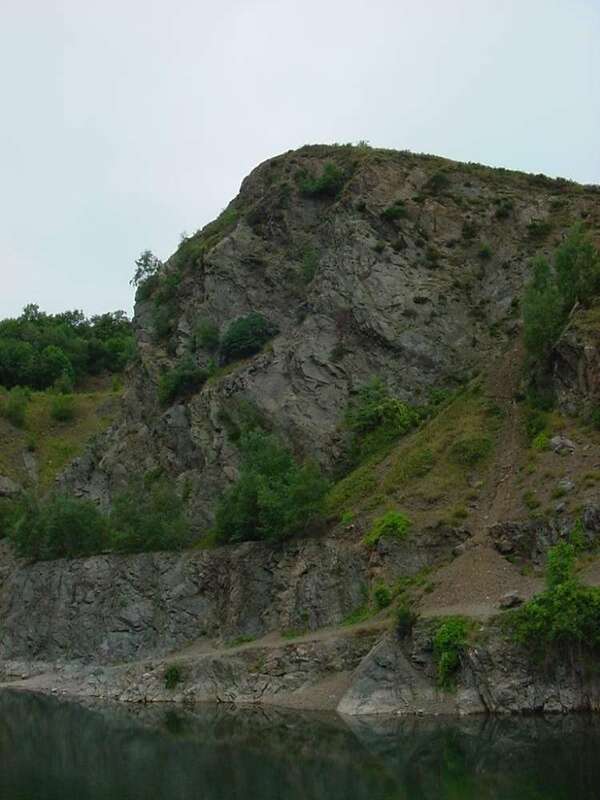 The quarry is on the southern end of Swineyard Hill and the rock face itself is not only unstable but also very steep and totally unsuitable for close investigation. However, the Malvern Hill Conservators have provided a car park at the base of the quarry and this makes an ideal picnic spot from which to explore both Swineyard and Midsummer Hills. 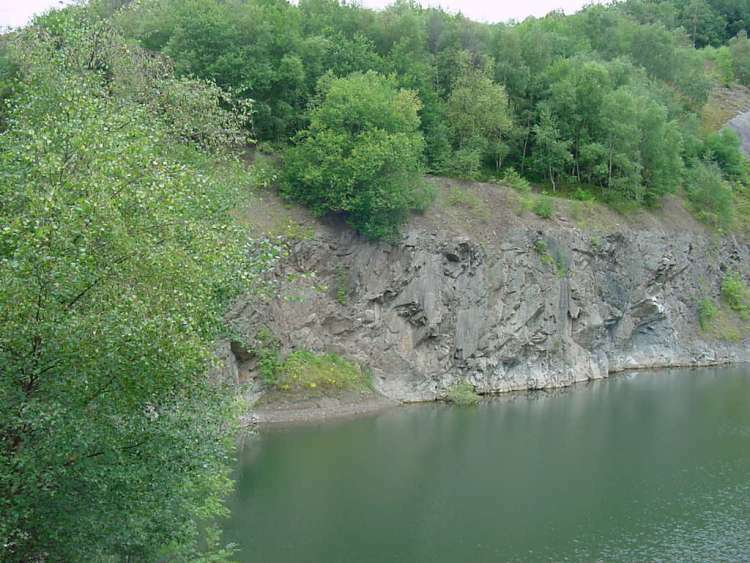 The quarry workings at a lower level are now filled with water and tempting though it might seem to swim in these waters this is to be discouraged at all costs. Under no circumstances should you attempt to swim in the pool as to do so would be both extremely foolish and dangerous. Far better to stroll on the hills or common land and watch as we did the endless circling of a pair of Buzzards or the Ravens as they forage for food. All four photographs were taken by Andrew Smith on 11th August 2002. A visitor to the hills supplied a copy of the above photograph to the Malvern Hills Conservators who have given permission for it to be used here. 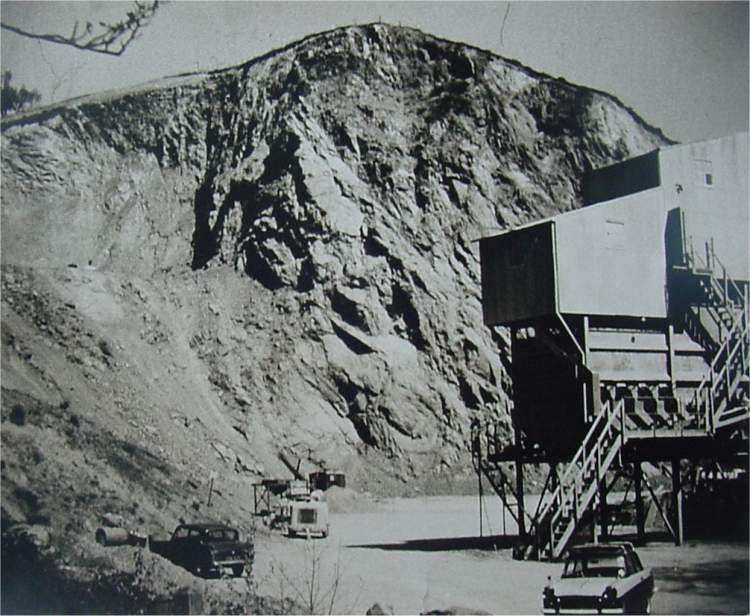 The photograph shows the quarry as it was on 1st May 1966. Note the ancient Ford Anglia car on the left hand side and the Triumph Herald in the middle.